I have seen the last couple days that there is a way to install Google+ on iPad or iPod Touch using the iPhone configuration utility. I tried that and when I plugged in my iPad I just got an error message from the utility, and after some minor troubleshooting I gave up. This morning, a thought occurred to me. I can just use Installous to install the .ipa. All I had to do was add the Google+ .ipa file to the filesystem (/var/mobile/Documents/Installous/Downloads) and then open Installous and install the .ipa through the downloads menu. I personally used iFile’s new Dropbox integration for this so connection to the computer wasn’t even required. Anyhow, now I have Google+ on my iPad, and the only part of the process using a computer was getting a copy of the original .ipa file. I hope if the original method didn’t work for you either, that this one will! Hello all! It’s been a very busy week and I know you are all eager to read, because the Internet is just a horrible black hole without anything worth reading. I just briefly contemplated using that as a really terrible segue into talking about space (see my last post and how I had planned to talk about it), but it’s been a week and a lot has happened since then. First, and most importantly to me, I finally finished my last class ever (with an A-), which means that to finish my degree all I need to do is give a seminar (which will very likely be on the topic of real-time MRI, an AWESOME technological advancement which could easily revolutionize medicine) and then write and defend my thesis. I’m hoping to have this done by mid-October, and it’s really all I’ll be doing until then. So that’s pretty hella exciting. Secondly, last week Dell was having a summer sale, as they do quite frequently. I scan the deals they offer as there is usually one or two really good deals, and since I do enjoy technology and electronics in general, I’ve made a few of these purchases. The really exciting one which I’ve been using non-stop all week is a pair of Bluetooth headphones. I wasn’t sure of the purchase as I was making it, because they are over the head headphones, which are a little bulky and make the wearer look like a huge nerd (or in some cases a rich, snobbish audiophile depending on the size). They were $50, down from $100, and I had a little disposable income, so I decided to jump even further into the world of wireless audio. Last time I had used Bluetooth was probably 2006-7 when I needed to transfer phone numbers from one phone to another without a SIM card. As I remember it it was a horrible clunky technology which was mainly used either for moving small data such as contacts from point A to point B, or connected to a jawbone headset for phone calls. While these things are undoubtedly convenient, I basically ignored the technology for the intervening 4 years. Now that I have these headphones (which were delivered in less than 24 hours from the time of order, another small plug for Dell and Purolator here, they are awesome) my mind has completely changed on the technology. In the week I’ve been using my wireless headphones I have just charged them a second time since opening them, although they weren’t dead (4 days seems to be the average, but I didn’t want them to die). I should also make the point that I have been using them almost incessantly and the battery life is just stupendous, although they are still very light. The right speaker has volume and playback controls, as well as a talk button, microphone, pairing button and power button. It is the easiest thing to use and is easily made compatible with everything. All Apple products come with Bluetooth adapters, which made it incredibly easy to connect to the headphones. My computer (which would have come with bluetooth for an extra $20) doesn’t come with it, but that was easily remedied with a small bluetooth dongle, which is actually much smaller than the end of my thumb. The part which sticks out of the computer is about half the size of the part which is required to go in. 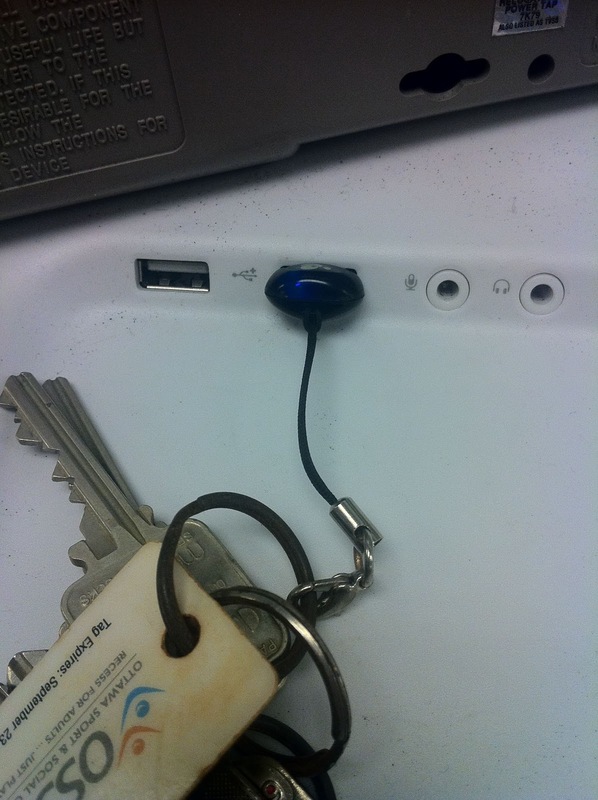 This (which as you can see attaches to my keychain really easily) can plug into whatever computer I’m sitting at and connects me instantly and wirelessly to the audio coming from that computer. It a wonderful setup, and the last thing I’ll say (besides the obvious of not distracting people around you) is the 30′ radius which allows you some freedom to move around without having to bring anything with you. The example I’ll use is for television, but it applies equally with other media. When I was watching the office in the living room but wanted to get some water, normally I would have to bring the tablet or if I was watching it on tv I would just miss part of the show (or pause it). Now I can simply walk away and the audio will follow me. It’s great technology! Anyhow, this is long and I want to save something for another day, so I’m going to delay talking about space, though I do really want to. My app of the day for today is the Google+ app, which has been on Android for a few weeks and was recently released for iOS as well. It’s all very exciting and to all my Facebook friends who are complacent, please do consider getting Google+, I’m sure none of you remember saying “Facebook. What’s that? Sounds cool, I haven’t talked to my high school friends in a while” Well this is so much better than that. I implore you! My jailbreak tweak of the day is called DeepEnd. It came out today and can be found on Ryan Petrich’s repository. It gives your wallpaper a cool 3D look using the gyroscope in the phone and doesn’t use a noticeable amount of memory, it’s just a neat little effect! My desktop application of the day is called Teamviewer. I have spoken with many of you about it, and it works on Windows, Mac, Linux, iOS, Android and can access computer via the Internet as well. I will only give a teaser of what it does, but if you have more than one computer, or a phone and computer, it allows you to control and view your desktop remotely. There are INFINITE uses for this technology, and I strongly recommend you try it. Those looking for a demo or instructions, feel free to ask, I would be more than happy to help! Hopefully I’ll be back again this weekend to write more! Hey everyone, I’m going to be really busy this week, but I’m planning a longish piece on space and astronomy (with the last space station mission having just docked with the ISS) hopefully before the weekend! Anyhow, I did still want to share some of my favorite things with you, as a bonus today I have a great app to share with everyone, for those smartphone owners among us. This tweak lets you use otherwise wasted space in your spotlight search area to show all the apps you have running, and allows you to quit them by tapping on the icon on the left and then pressing quit, or with a simple swipe across the name followed by quit. This app saves time in quitting apps and lets you easily access apps which are running if you don’t like the multitasking dock. While this video is low on details, it gets the basic point across quite nicely. Basically you can start a chat conversation or “Hangout” and then invite people to join you. People you have allowed who log in will see that you are hanging out and will be able to join the hangout, up to a maximum of 10 people. The main video automatically focuses on the person who is talking, just like in a conversation, although you can also choose to focus on one person by clicking on their video. You can also selectively mute people in the conversation, as well as the awesome feature of playing a YouTube clip as a “member” of the group chat. Conversation volume is lowered, and a walkie-talkie-esque push to talk button appears so that the video clip has focus. It is a great way to show friends you can’t be with clips and gauge their reactions in real time since everyone is watching the same part of the clip at any given moment. From experience it also makes for really fun dance parties when you can’t actually be at a club, for example mid-afternoon. This app is an extremely basic yet extremely useful one. 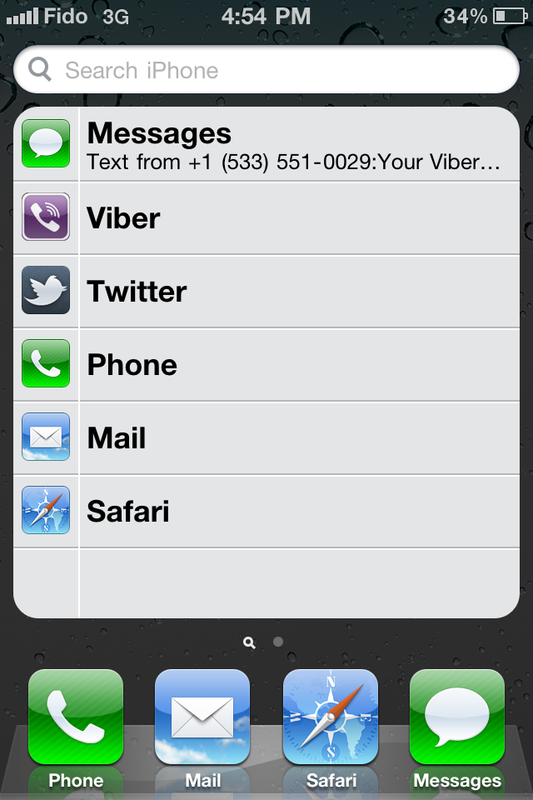 It lets you send SMS messages and make voice calls for free using data/WiFi. This can be extremely useful as the calls are of very high quality and long distance is still free and doesn’t use any more data. From what I have seen the data usage is also minimal. The best part about this app is that signing up is as simple as installing the app and inputting your phone number. The app then finds your friends who also have the app installed and shows you those people. You can also make calls to people who don’t have the app installed through the app, but it will use your minutes. There is no account to worry about, your phone number is your account and it is how people will find you. The more people who use this, the better, so get crackalackin! I have also heard that there is an Android version conducting beta testing, so please do try this out and see how it works, I would love to see everybody get this to try! I hope to have a real post for you soon!